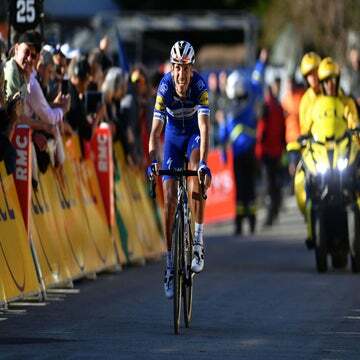 Belgian team Omega Pharma-Lotto will race the Tour de France without star rider Philippe Gilbert and French rider Jean-Christophe Péraud. 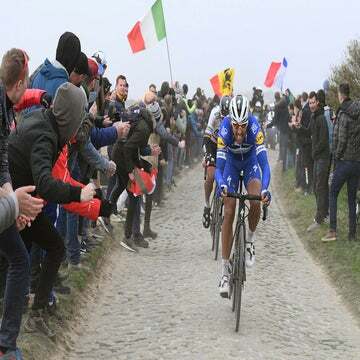 Gilbert, winner of the Amstel Gold Race in April, is skipping the Tour to race the Vuelta a España and make a complete preparation for the road world championships in Australia. Péraud, the French national time trial champion, was hospitalized after a bad crash at the Critérium du Dauphiné earlier this month and will not be ready to start the Tour on July 3 in Rotterdam. Leading the team’s GC hopes will be Jurgen Van den Broeck, who recently finished fourth overall at the Dauphiné and will take over as the team’s sole leader following world champion Cadel Evans’s departure for BMC at the end of last season. Van den Broeck is seen as Belgian’s best GC hope in a generation. He rode to seventh in the 2008 Giro d’Italia and 15th in last year’s Tour. A strong time trialist, the former U.S. Postal Service rider is hoping to finish among the top 10. Joining him will be Mathew Lloyd, recent winner of the best climber’s jersey and a stage at the 2010 Giro d’Italia. Charlie Wegelius, Mario Aerts and Dani Moreno will provide support in the mountains and be on the prowl for stage victories.